Description: Unexplained phenomena capable of immense destruction lurk in the forests of the Canadian wilderness. They are flashes of blinding white light that break through the open spots under canopies of uncivilized areas, super heating and destroying anything unfortunate enough to be caught below. Named Occulens Rays for their similarity to camera flashes, the phenomena are comprised of white light, with several rainbow colored refractions that appear from the sky, but are not visible unless underneath the canopy of the forest. The rays cannot be seen from above tree tops, leading documenters to believe they have a preternatural origin beyond terrestrial existence. Before appearing, a high pitched ringing will emit from the area the rays will hit and refractory light will begin singeing the forest ground, giving off the tell-tale sizzle of dried leaves and twigs. The lights brighten before super heating in several bright flashes for the span of a few seconds before silently disappearing. Occulens Rays can blind viewers without eye protection and their heat can't accurately be measured by high-end IR thermometers. The rays have been observed to near instantly incinerate organic and inorganic material that its beams hit, save for plant-connected leaves and barks, and minerals. Background: Warders who live in secluded forests will hear of the rays in passing as they have left many people missing, with few remains in their wake. All too often, unidentified remains are found filled with holes the size of quarters, the wounds cauterized shut by the intense heat. While not the only thing that causes disappearances, Occulens Rays are a known contributing factor. Norman has no documentation indicating where Occulens Rays come from, though they resemble sun dogs in superficial aspects, but the similarities end there. This lack of information has led to their nickname: God Rays. They're simply an act of God. Location and Population: Only forested areas or locations in the wilderness with thick canopy have had Society documented occurrences of Occulens Rays, with reports numbering in the hundreds yearly. The Pacific Northwest, Northwest Territories of Canada, and eastern US have had the greatest concentration of reports, though only three areas in Canada have had instances of consistent roaming Occulens Rays, creating three exclusion zones. See the attached report in the records for a list of all three consistent locations and patterns. In these three documented cases, the rays will not destroy or seek anything beyond these defined border limits. They do not occur in populated locations or human created forests, including farmland or orchards. Many more may occur in the wilderness unobserved while many rays account for flash wildfires that severely cripple surrounding ecosystems, evidenced by the multitudes of wildfires in British Columbia. In fact, over 500 wild fires were reported in BC alone in 2018, with almost a hundred cases traced and linked to the effects of free roaming Occulens Rays. The reports were based on eye witness and field Warder tips, following investigations by Society members embedded in local fire fighting departments within the populated centers of BC. Hunting or Procurement Methods: The rays are not sentient and cannot be reasoned with, but seek out organic targets, gravitating towards organisms with heat signatures that are caught in its roaming zones. They are more likely to appear during the day according to the amounts of documentation that trickle through. The best anyone can do when hearing the sizzle of breakout Occulens Rays is to hide directly under leaves and hope they provide enough coverage from the beams as the sound means mere seconds before anything underneath is vaporized. Even a small sliver of light shining through will create a hole flush through a person's body, making them extremely dangerous. Eye protection from bright sources is a must to prevent permanent eye damage. Warders that travel through known reported areas should bring welding goggles for improvised protection. Foliage suits comprised of leaves or mud have been suggested as protection, but leaves or bark skin not connected to a plant rooted to the ground provide no protective coverage. Mud suits, while impractical, may work well because soil, clay, or minerals appear to act as insulation against the unnatural heat, but not every part of the body can be covered. Encounter Records: There are three well-documented roaming Occulens Rays occurrences with consistent roaming patterns in separate provinces of Canada. Location: Located near the Entiako Provincial Park area of BC, OR-BC travels in a 10 mile1 radius centered on these geographical coordinates: 53.27397, -124.9261. Patterns: This ray seems to strike during the mid-day at exact intervals of 2 hours on the clock at 1200 PST. Its locations are random, but keep watch of wildfires. Outposts are in the area monitor its activities. Several cars have been found, wrecked, partial, and full of cheese holes. Location: Geographical coordinates of 65.95422, -123.97412, encompassing a minimum radius of 2 miles2 from its central point. Patterns: The rays are mistaken for aurora borealis in the region by unwitting observers, and strangely strike only at night, never having been observed in the daytime. With little civilization nearby, however, observation proves difficult. Flares at random time intervals, but only once the sun has completely passed the horizon at sundown. Location: Near the Ibex Valley, next to White Horse at 60.89596, -135.63061. Has a minimum radius of at least 1 mile3 from its central coordinates, but may be more. Patterns: This ray occurs once every 12 hours. Flares at 2400 PST to 1200 PST starting on Sunday in constant intervals, skipping every other day, thus occurring Sunday, Tuesday, Thursday, and Saturday before repeating the timely pattern the following week. Like most occurences, its targets are mostly random, but has sparked a few wildfires. 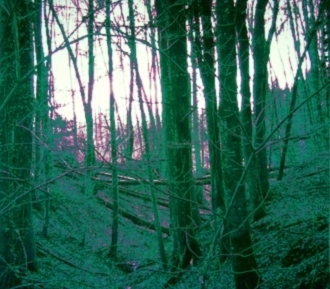 Ask any local DCC for further reports regarding wild forests to see if any encounters of Occulens Rays have been reported in the local area. It is not known if they strike the same places more than once, but scorch marks from burnt materials will key into the phenomenon. Additional Notes: The categorization of Occulens Rays as a metaph is due in part to its supernatural aspects and status as a non-sentient phenomena.